This is a guest post by Ethan Hagan from One Project Closer. Even if you don't plan on doing it yourself anytime soon, this easy-to-follow guide will at least teach you what's going on behind the wall. If you've never even taken the faceplate off an electrical receptacle, wiring or replacing an outlet may seem out of your league. Unfortunately, odds are you'll start hating those old, off-white outlets or one of them will stop working, and you'll need to take the plunge. Lucky for you, you'll have this handy, table-top guide to reference while you work. 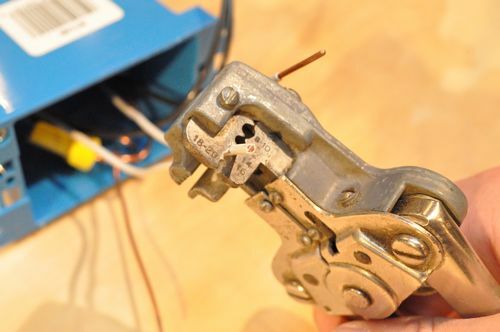 Read on to learn how to wire an electrical receptacle including splicing and stripping wires and making the right connections. 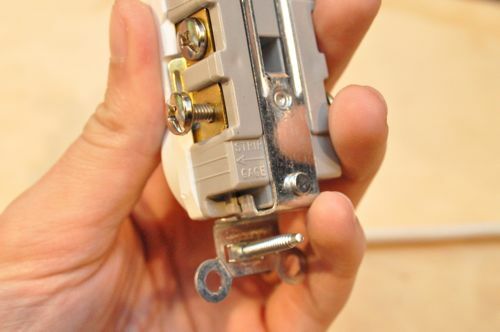 The details of this guide may be different from what you find when you start examining the wiring in your home or apartment. I'm going to show you a common scenario, but the type of circuit (15 amp, 20 amp, etc. ), the type of wiring (14 gauge, 12 gauge, etc. ), and the number of wires may not be the same. If you're not feeling up to the task, call in a professional. 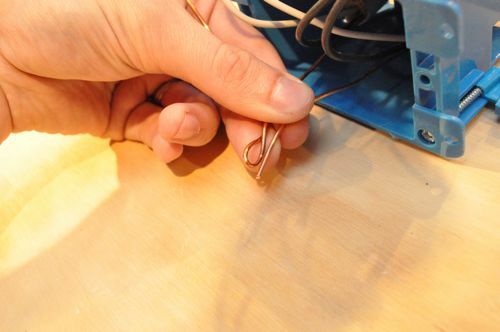 Most of the circuits in your home are probably 15 amp circuits with 14 gauge wires. 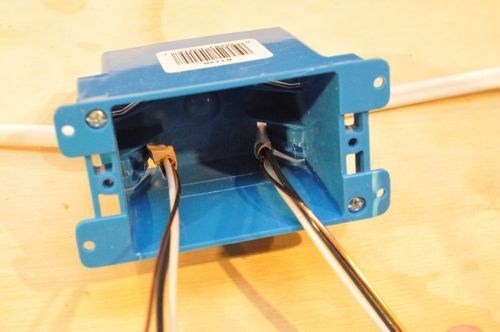 Unless the outlet is at the end of a circuit, there's usually two cables (bundles of wire) going into the box, and most often you'll see a black, white, and bare copper wire within the cable sheathing. 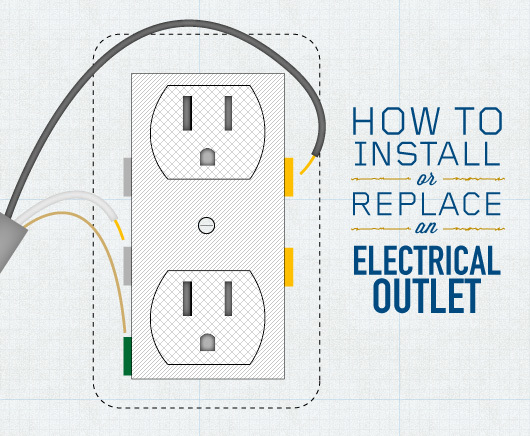 If you're replacing an existing outlet, some of these steps will have already been done for you. 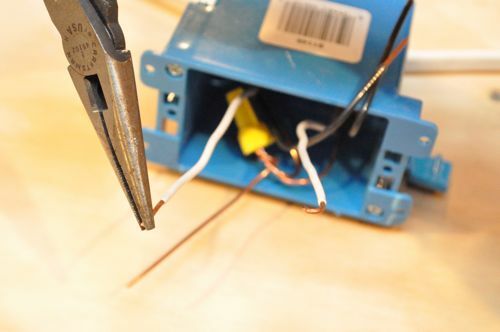 Even so, it's helpful to know how it's done in the event you need to cut the wires back or create a new connection. 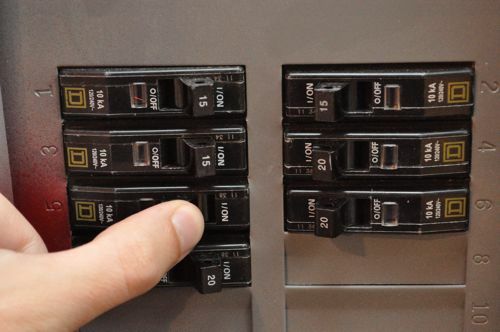 It can't be said enough that before you start working, make sure to turn off the appropriate circuit breaker. If you don't have a voltmeter handy, use a lamp to make sure the power is off. Like I said, most outlets will have at least two cables going into the box, and if you could see through the wall, it would look something like this. 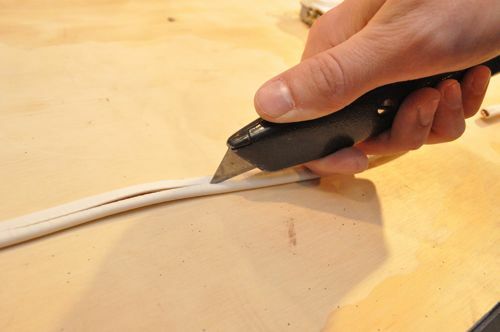 To cut the outer sheathing, run a utility knife along the length and then pull the wires out. Next, cut the sheathing off. 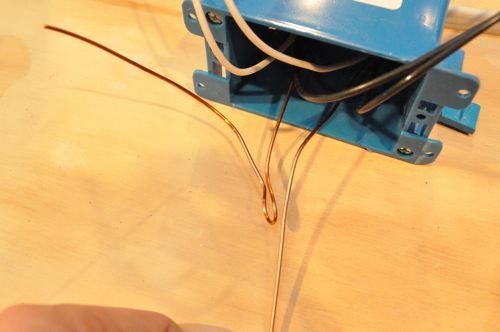 Line up your copper wires, and start by bending one wire back on itself like the picture below. Cut the other ground wire to the same length. Use pliers (I like to use linemen's pliers) to tightly twist the two ends together. Using the cutters, snip off the end. In effect, you now have three wires twisted together. Next, screw a wire nut over the splice. The pigtail is what will eventually connect to the ground screw. 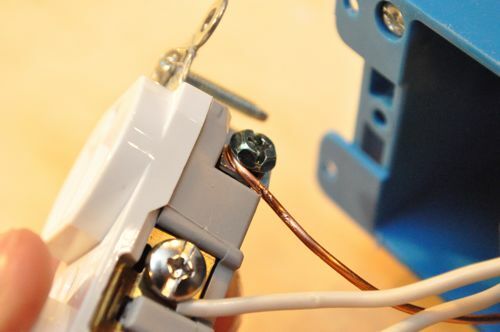 Tip: The most common DIYer mistake when wiring an outlet is to skip twisting the wires together. Don't make that mistake because wire nuts are not enough to hold everything together. 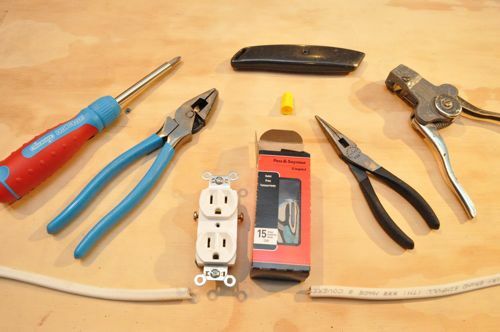 Line the neutral wires and cut them to an equal length. Most outlets have a wire stripper gage indicating how much insulation to remove. Follow the gage because you don't want to expose too much wire. Your wire strippers may look different from mine. Regardless, use the slot for 14 gauge wire and remove the insulation. If you nick the wire, you should cut everything back and start over (at step 4). 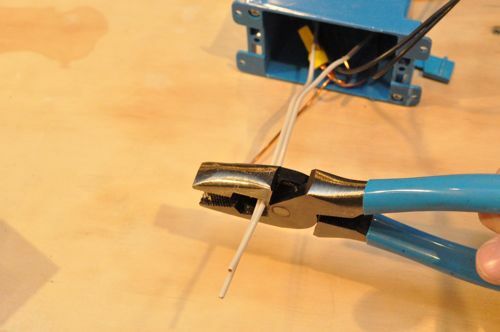 Use your needle-nose pliers (or the handy slot in some wire strippers) to twist a half-circle. 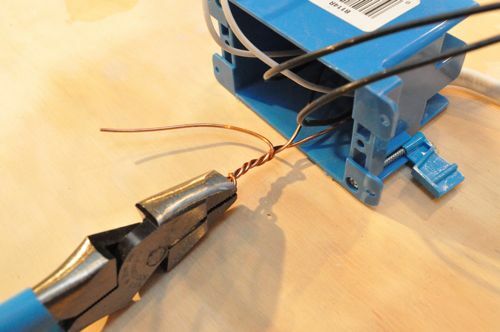 Rotate the wire in the same direction that you'll be turning the screw to secure the wire. Remember, “righty-tighty” and “lefty-loosey”. 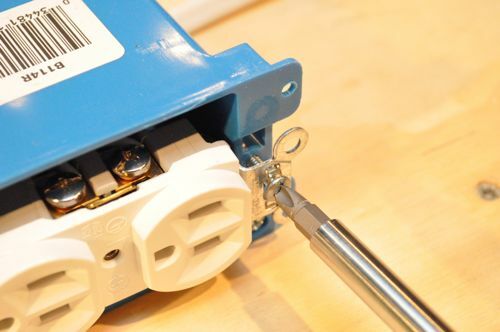 Tip: Some outlets have “stab-in” connectors (in addition to the screw connections) that allow you to push the hot and neutral wires straight into the backside of the outlet. 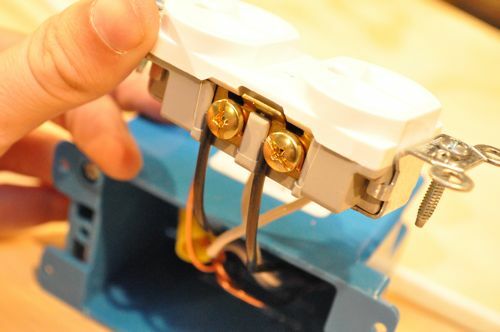 Avoid using these connectors because they don't always make a good, lasting connection. Loop the neutral wires around the silver screws, and tighten them down. 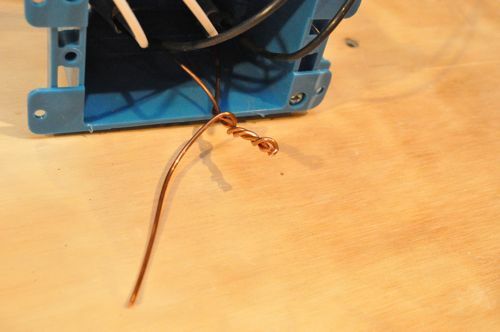 Do the same thing for the ground wire pigtail and the green ground wire screw. Follow the same process as the white wires to connect the black wires. The only difference is that the black wires connect to the gold screws on the opposite side. 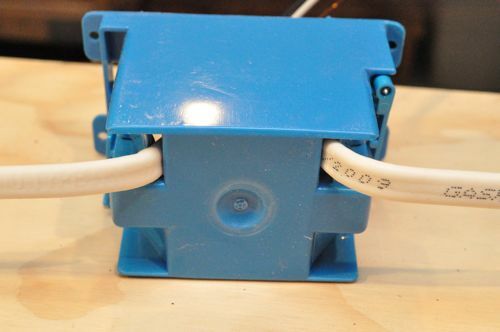 Fold all the wires into the box, and screw the outlet in place, keeping it nice and centered. Lastly, screw in the faceplate. Ethan Hagan is the primary editor at One Project Closer. He spends most of his days shadowing real contractors on actual job sites and most of his nights writing about the experience. To see what I mean, check out their finished, expert guides like How to Install Wainscoting and How to Install Radiant Heat Flooring. If learning and interacting with pro contractors sounds like something you’d enjoy, sign up for OPC email updates. This article is for informational purposes only and is not a substitute for professional advice. The author and site owner assume no liability for errors or omissions. I prefer wiring in parallel instead of series. I attempted a schematic of this and I do not think I did it right, it shows 3 ground wires….. am i missing something here? No, No, NO! 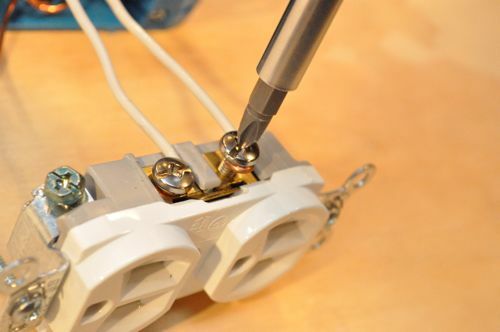 Hook the wires together and pigtail off the wires with Hot, Neutral, and Ground to the outlet.